While you’ll still get out with your girls after your wedding day, your bachelorette party is a tradition most brides-to-be are sure to take part of. It’s the perfect excuse to get your best girlfriends together to celebrate this very special occasion. 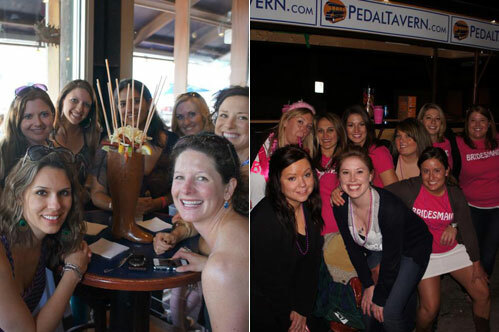 One out-of-the-box Milwaukee bachelorette or bachelor party option is the Pedal Tavern. 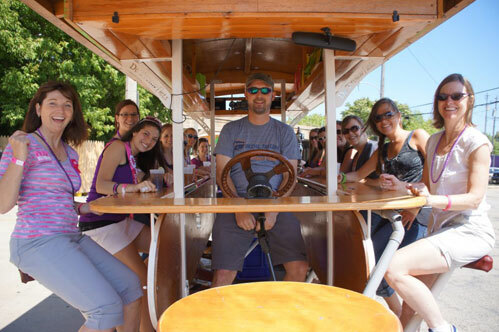 Co-Owner Derek Collins says, “the Pedal Tavern is a 16 passenger fun machine! It is a giant bicycle that is centrally located in the heart of Walker’s Point and the Third Ward.” How does it work exactly? The Pedal Tavern supplies a licensed chauffeur to guide your party around the city, with an option to stop at over 20 participating bars with Pedal Tavern drink discounts. 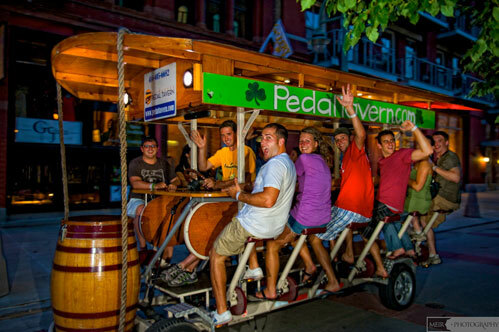 Since most bachelorette parties are a mix of high school friends, college friends, co-workers and family, the Pedal Tavern is the perfect way to bring all parties together to make memories. “In the middle of the Pedal Tavern, there is an open floor. You are allowed to have two people stand in there…this usually leads to a heated dance battle between friends,” Collins says. Since the Pedal Tavern is a popular option for Saturday bachelorette or bachelor parties, Collins recommends booking 3-5 weeks in advance. And, there’s no need to stop there – the Pedal Tavern can also be rented for your actual wedding day. Sounds pretty perfect to us.